I have been experimenting more this year with different swimbaits outside my normal go-to baits and along with that I've been playing with just about every head and hook on the market. One hook I've used recently with a lot of success that I seem to have tied on all the time now is the Lazer Trokar Swim Blade. The Swim Blade is made like your ordinary screw lock weighted swimbait hook, but it's design allows for a blade to be added on the under belly, giving you both a strong swimbait hook and the characteristics of an underspin. The hooks are offered in sizes from 3/0 to 7/0 and weights from 1/8 ounce up to 3/8 ounce. It also features a crimped wire and a double swivel and hammered silver willow blade so the added flash is tucked up under the belly of the bait, further drawing bass in to the swimbait. I have used on it on several swimbaits including the Zoom Swimmer, Scottsboro Tackle Company Swimbait, and the Optimum Baits Baby Boom Boom swimbait here recently. 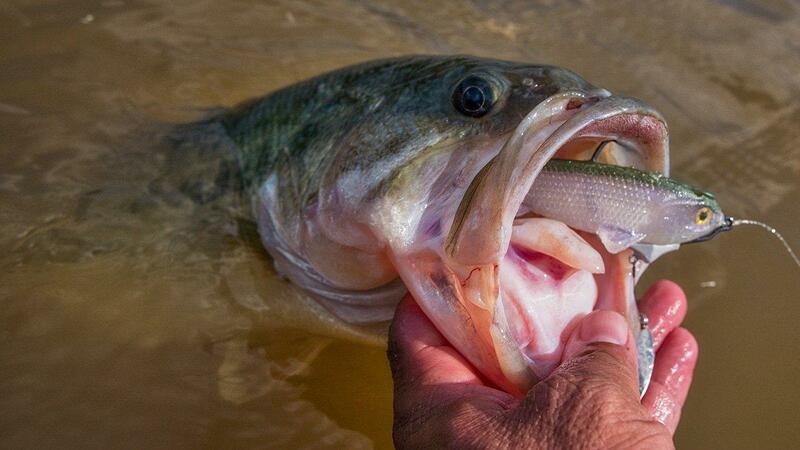 I've had a few nice bass and watched a bunch of others get caught sharing the boat with some good anglers this fall. 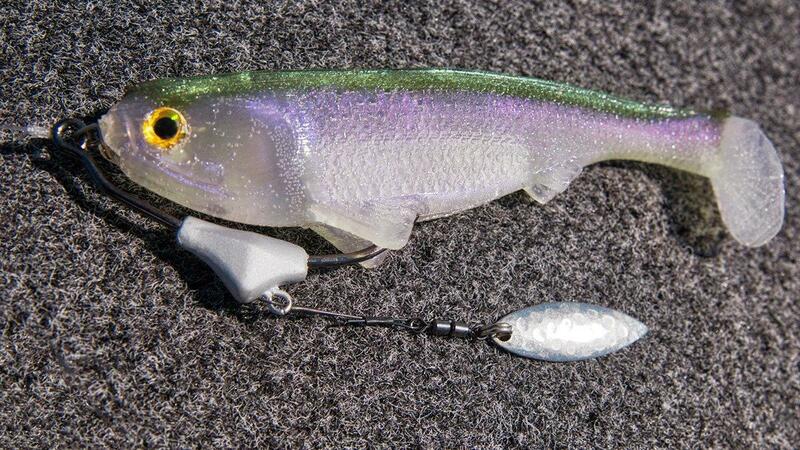 The hook on the Trokar Swim Blade rigs just like other weighted screw lock swimbaits. Tucks under the chin and belly well, and the length of the wire puts the blade just behind the belly of most 5 inch swimbaits. That location lets the blade swim freely on the retrieve. Even with both fast and slow retrieves, the blade turns on its double swivel. 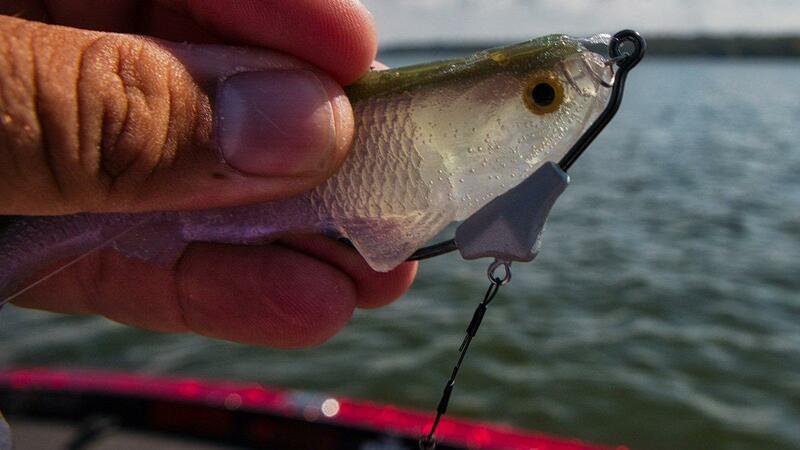 The shape of the weighted keel on the hook puts a bit of a ramp guard in front of the harness to keep grass or rock from fouling or compromising the connection of the rig as you fish it. The wire is strong and the components on the wire will hold it all together well without worry of a bass pulling it off on a short strike at the blade. The screw lock spring that comes on the Swim Blade will suffice. It's a bit lighter wire. You can open it up a bit to get a little better bite on the swimbait. I will admit I often swap them out with the screw lock from Owner with the center pin. You can buy those center pin springs in bulk at Tackle Warehouse. I just like how they are stronger and rig the swimbait dead center on the spring. But the one that comes with the Swim Blade works, holds the bait on well while casting. After a few fish it will start pulling out of the nose at times. That's why I open up the spring on them to get a little better bite in the bait. I pulled on the blade as hard as I could trying to separate it from the hook. 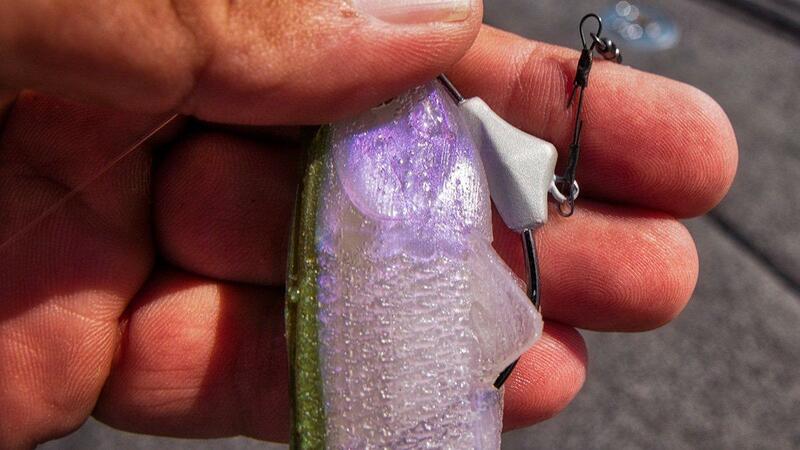 It's put together well and won't fling off on a cast or get taken away from an aggressive bass. And the freedom of movement of the wire and blade lets it swing if you have a swimbait that shimmies or rolls reel hard side to side. The shape of the weight cuts the water well and protects the blade from fouling on the bottom or coming through cover, so it's a good design. The hooks are extremely sharp and I got good hook-up ratios on the few fish I've caught in the last month fishing it. You can pull set letting the rod load before leaning into a bass really hard on the bite. I have not had any fish get off that I have hooked on the Swim Blade. That has been some of my apprehension with using weighted swimbait hooks as much as I use jigheads because I don't get the fish hooked at as high a percentage with weighted swimbait hooks as I do jigheads. But I have been very pleased with the Trokar weighted swimbait hooks and now the new Swim Blade. 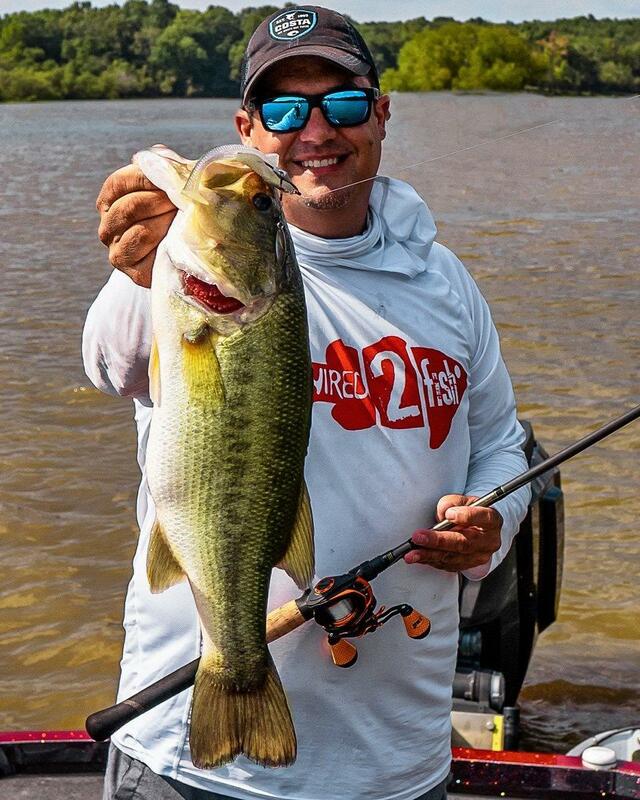 On one of my first outings with the Swim Blade, I caught a nice 4-pounder fishing my swimbait more like a spinnerbait around flooded cover in stained water. I think the blade gives you an added element of not only adding flash but also helping bass find it a little better in darker water. I have actually wanted to play with the blade a little and see if adding a Colorado blade would give it more vibration and still work right on the hook with a swimbait. I'll have to report back if that works. You can find the Lazer Trokar Swim Blade at Tacklewarehouse.com and at some local retailers carrying the new hooks for Trokar for 2019.